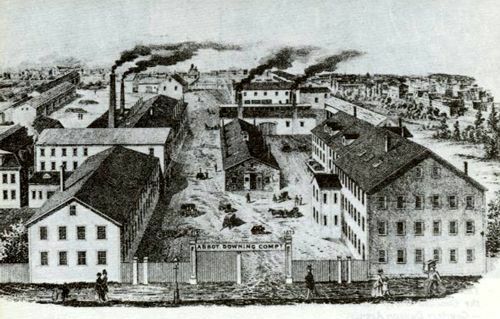 Abbot Downing Company (1827-1847, 1865-1919) – Lewis Downing, a wheelwright, had been in the wagon building business in Concord, New Hampshire since 1813, but in 1826, he saw the need for a new type of road coach. Requiring the skills of an expert coach body builder, Downing soon partnered with a man named J. Stephens Abbot, forming a new company called Abbott and Downing in 1827. 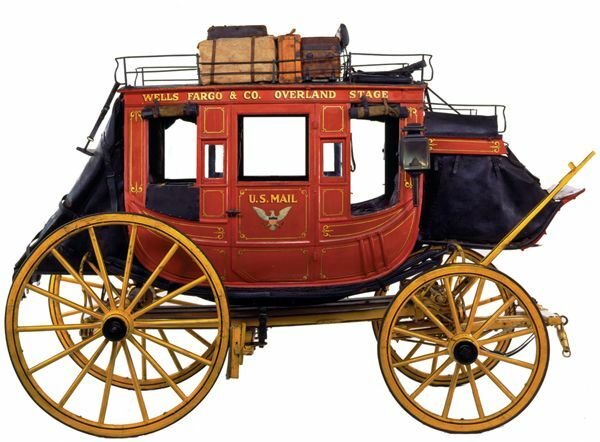 Though the organization actually manufactured over 40 different types of carriages and wagons, they became world renowned for their Concord Stagecoach. Their stagecoaches were built solid, quickly gained a reputation for not breaking down, and rode more smoothly due to a design feature called the thoroughbrace. This leather strap of many layers supported the body of the stagecoach, enabling it to swing back and forth and absorb the shocks of the road. Over the years, thousands coaches were produced and sent all over the world, its basic design changing very little. After twenty years in business together, Abbot and Downing went their separate ways in an amicable split. However, the separate companies both continued to build Concord Coaches. When Lewis Downing retired in 1865, his sons took over and soon merged once again with the Abbot Company, manufacturing coaches, carriages and wagons under the name of Abbott-Downing until 1919.